You may be wondering what has been happening with the McMillans as you have not heard from us in awhile. We are still very much alive and in good health, as indicated in the results from the comprehensive medical work that we completed in July. We drove up to Wheaton, IL for the annual TEAM conference (REAP) for missionaries on home assignment. While there we talked with several home staff and fellow missionaries concerning our next placement. We met with the TEAM Mexico field. The Mexico Field is considering a church plant in 3 different cities a half day’s drive east of Guadalajara, Mexico. A vision trip is scheduled for February. However at this point we are not strongly considering that opportunity. Here are a number of developments that we have heard about in the Madrid area. 1. In Las Tablas, a new suburb in northern Madrid, where Aurora, one of our church members from IBM in Venezuela lives, we found out that there is a Bible study with @ 20 in attendance. Mark Johnson, a TEAM missionary in Madrid, visited with them as well as Aurora Tablante, the lady from IBM. Two Argentinian families started the group comprised of Latins and Spaniards. Peter has conversed with one of the men, Samuel, who is excited for us to work with them. The other man, Oscar has expressed his eagerness for us to join their venture. They are from the Brethren background. Around 200,000 people live within a 10 minute drive in either direction. 2. The other opportunity is in downtown Madrid working in a multicultural community. The area is called Lavapies. We visited this area with Micah and Kimberly Yaun when we were in Madrid. I have talked with a number of missionaries from Madrid about this area. They recommend that it would be best to work together with other missionary organizations (possibly setting up a cultural center/coffee shop) where we could make contacts, teach English, do Bible studies. As contacts and interest grow we would start the church plant. 3. As far as Tenerife goes, TEAM Spain is checking on some issues with another mission organization. There is a possibility to work in a section of Santa Cruz, the capitol city, but we don’t have many leads. The TEAM missionaries already working in Santa Ursula would like to see us work in the city of Icod (pop. @20,000) situated about 1½ hours west on the northern coast. A group of about 8 already exists at a 20 year old church. The building has water damage, is not in a strategic location, and TEAM would like to get a commitment from the leadership that they would be willing to sell the building and move to a more strategic location. The ideal would be to work together and not separately. 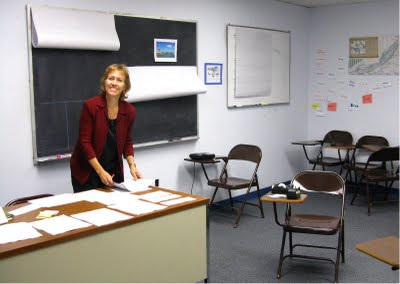 August for Sharon has been extremely busy taking a one month intensive course on Teaching English as a Second Language. Sometimes she had to go for several nights on just 4-5 hours of sleep. It was a month of reflection and studying for me, Peter, as well as an opportunity to improve my cooking skills. Heather has been with us as she also took the course. Sharon and Heather also have 2 weeks of reading and paper work to do before they can be awarded their certificates. 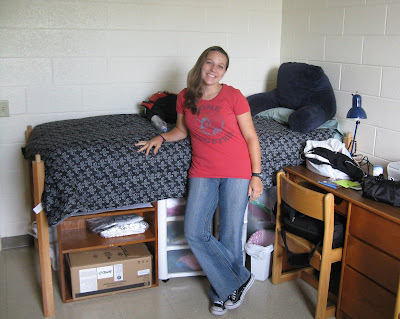 On the 19th we took a day to drop Melissa of at James Madison University to start her freshman year. On September 1st we met with Scott and Lorna Muha to discuss and evaluate, and share updates on our next church plant. The Muhas are workers from Venezuela who accompanied us for part of our trip to Spain back in March. We are planning to partner with them in our next church plant. We trust that very soon we can make a final decision as to specifically where we will be headed. Please pray that together with the Muhas, TEAM, and our home churches we will be able to discern God’s clear leading. We are participating in two of our supporting churches in the DC area. Capitol Hill Baptist Church and Occoquan Bible Church. We are getting to know church members by attending home groups, a Bible study, and Sunday morning and evening worship services. Peter preaches this Sunday at Occoquan. Over Labor Day weekend we got together with Ben, Hannah, Heather and Melissa along with the rest of Sharon’s family. 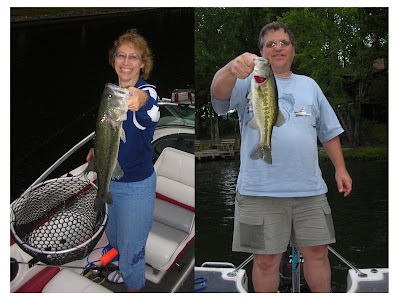 We enjoyed fishing on Lake Monticello and have been sore from water-skiing. And guess who caught the biggest fish? We will travel to New York, stopping in PA, MA and NJ the latter half of September, visiting with supporting churches and partners in ministry. In October we will go to Columbia, SC 9-11 for a church retreat, and the week of 18-25 we will participate in the missions conference at First Presbyterian in Schenectady. Trust we will be visiting with many of you soon. Congratulation!!!!! All of you look so good. Enjoy SchenectADY????? Keep in touch. God bless you.